The members of the Matrix Percussion Trio excel as both teachers and performers. 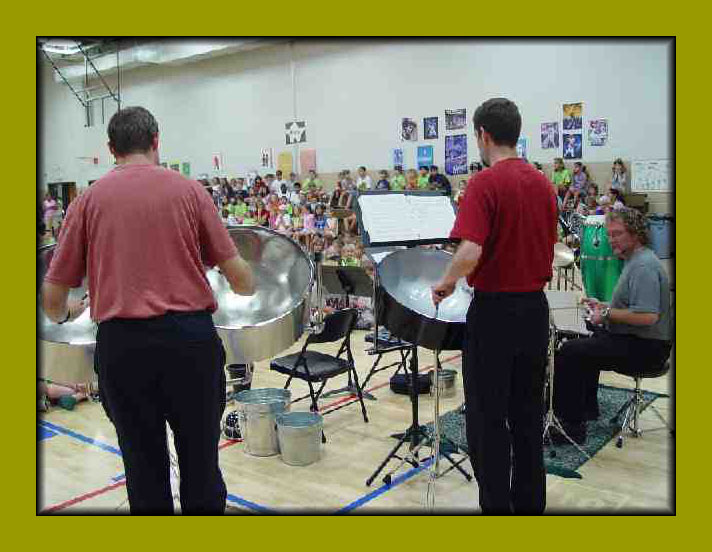 The trio delivers exciting programs that will entertain and educate students of any age or expertise. 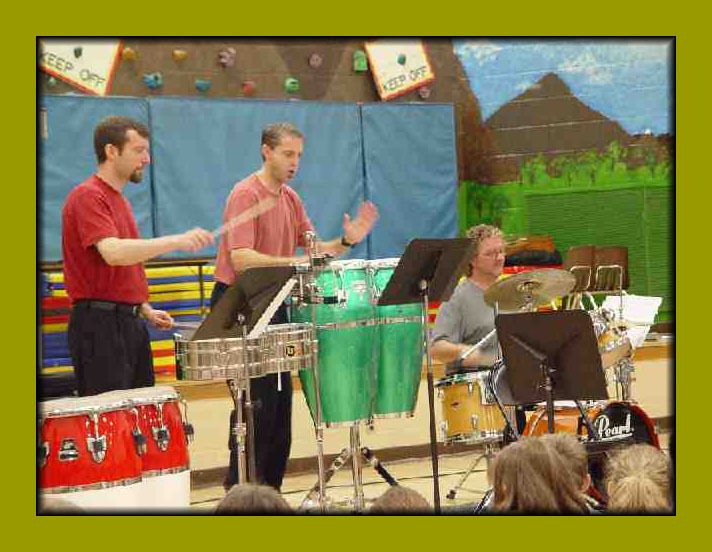 Using percussion instruments as a point of departure, the Matrix Trio brings the study of cultures into your general or instrumental music class, or assembly. 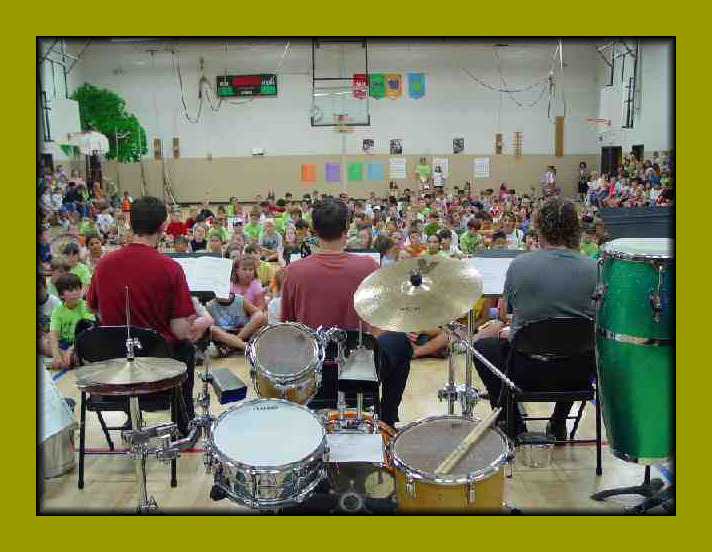 Through performing and presenting the musics of other cultures, the trio will give your students a greater appreciation of the unique musical aspects of other cultures, and spark their interest in music of all cultures. An introduction to the instruments of the percussion family. An optional small group session, either clinic or masterclass, is also available. Before or after the performance, this is an opportunity to spend some “hands on” time with a select group of your students. The Matrix Percussion Trio has a program for any situation or venue. Whether a classroom, concert hall, outdoor atrium or auditorium, the trio has the instruments and repertoire to fulfill your needs.